USF softball was defeated 7-1 by No. 5 Florida for the final game in the Opening Weekend Invitation Tournament. The Bulls (1-4) started their season on a high note with a 2-1 victory over Illinois State but dropped four consecutive games afterward. In USF’s opening day win, redshirt sophomore Bethaney Keen, who was out last season with an injury, stepped up to the plate to hit a solo home run to seal the Bulls’ first win of the season. USF then took the field against No. 7 Arizona on Friday in a 4-1 loss. Junior Riley Gore hit a home run in her first career at-bat with the Bulls, however, it was not enough to avoid defeat as USF fell to the Wildcats for their first loss of the season. 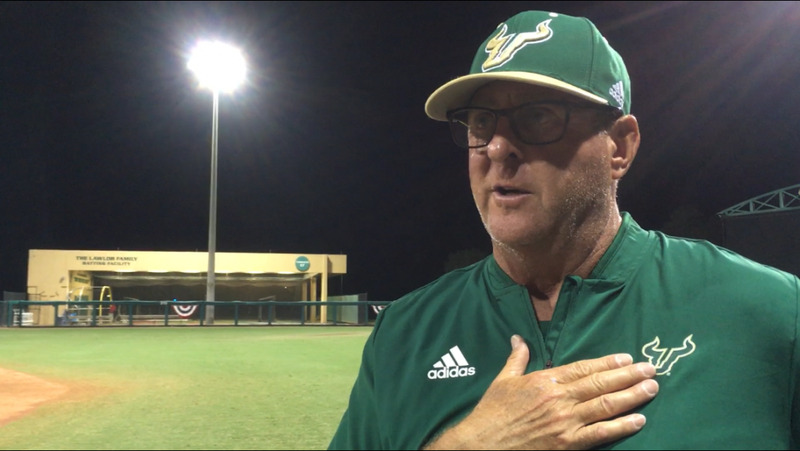 USF saw its second consecutive loss against No. 19 Michigan on Saturday. Despite another solo home run by Keen in the fourth inning, Michigan’s grand slam in the seventh inning sealed its 10-1 victory. The Bulls lost again 2-1 on Saturday against NC State. Senior Macy Cook managed to bat home Junior Anamarie Bruni in the first inning, however, it was not enough to win as the Wolfpack came from behind to score a two-run homer. The Bulls started strong against Florida with an RBI double from senior Lindsey Devitt to send Bruni home for the Bulls’ only run of the night. Despite USF’s early run, Florida managed to come back and score seven of its own. Bulls pitcher Nicole Doyle gave up a grand slam in the fourth inning to give the Gators a 5-1 lead. UF capitalized on their lead in the seventh inning with two RBI to seal UF’s 7-1 win.